3. Promise "lives as before"
4. Rebrand. "Lives broadly as before"
7. Make sure all Government reps say on all media channels "#citizensrights are secured", including the PM. Avoid questions on specific concerns. 8. Refuse to meet interest groups, including own British citizens in EU. 9. Send ministers to EU Embassy events and deliver the line: "We are so grateful for the contribution of (insert EU nationality) to the UK. We want you to stay and we secured your rights". Leave before Q&As. 10. Make sure in every speech you mention "we will deliver on the vote, an end to freedom of movement" you also mention how you secured #citizensrights. 11. Relax & smile. The majority won't read the draft WA and won't realise what rights are lost until they actually lose them. "THE GOVERNMENT MADE ME PREJUDICED! ", cried Sarah. I was in Clacton, in a living room with Sarah, brother Sam & daughter Linda, small children & a few pets. All three adults voted Leave & UKIP. This #TuesdayThoughts, I want to share bits of their story with you. How did that happen? I asked Sarah. "There are so many English families living in one room, yet they're letting all these in and they're housing them, having houses built for them! ", said Sarah. Who is being housed, I ask? Have you been waiting for a long time? Brother Sam cannot walk after an accident and is unable to work. Sarah has a lung disease and also has been out of work for a few years. It's only Linda who works in the household, who has two small children and no qualifications. She's working on a vocational qualification now. 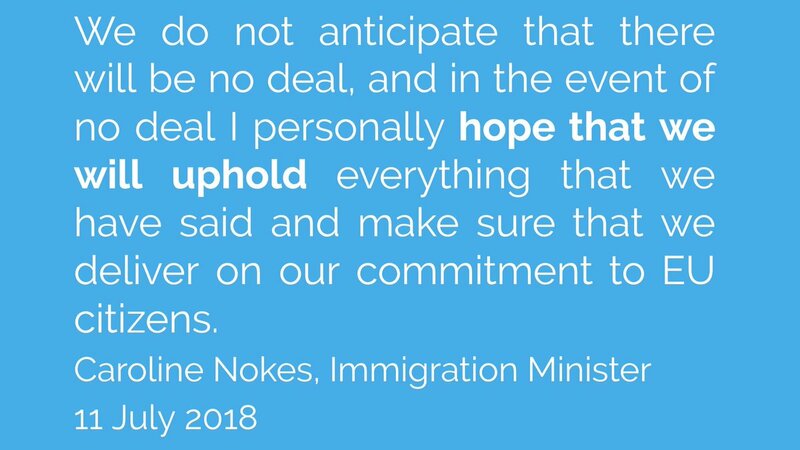 Ok here's the thing, EU citizens in the UK were promised to continue their lives "as before". But settled status is a lesser status & we need to apply, qualify & pay for it. If you don't care about us, think about this: can you still trust the Govt with your own rights? P.S. These guys had no idea what they were talking about in 2016, did they? I did not expect this to be shared so many times! While you're here and interested in this subject, why not follow and support @The3Million, @BritishInEurope and @eucitizenschamp who are working hard to hold both UK and EU stakeholders to account on #citizensrights? Thank you. Morning! 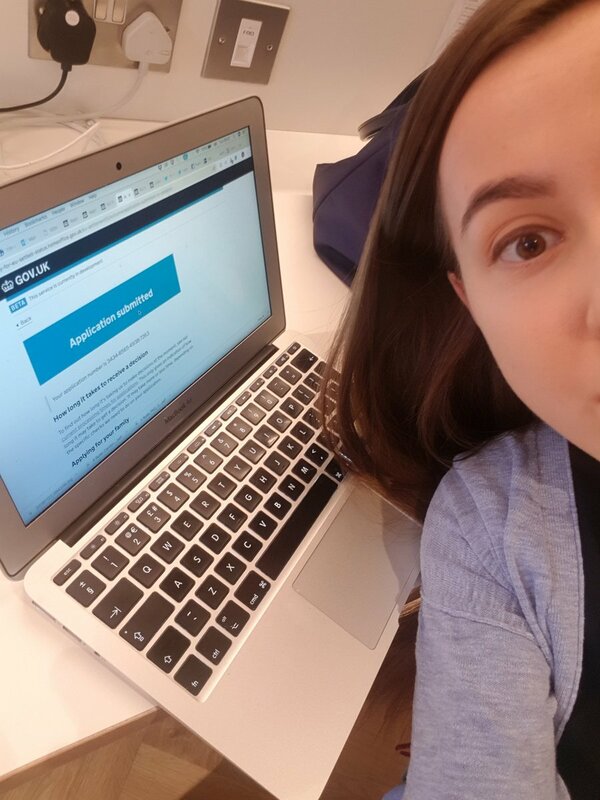 I had the privilege to pay and apply to stay in my own home part of the Settled Status trial. Computer said Yes with the Android app, but then said No to prove residency (always earned below tax free threshold), so I had fun scanning proof for 2012-2018. Now wait & see! Overall, the ID check took me 12 mins and the time spent on the website continuing the app about 45 mins (including scanning, compressing - max 2mb allowed per file and max 10 files). Anyway, MUCH better than my failed 2.5kg PR application attempt. 2/ 5 million brave people have made the 28 countries of the EU their home away from home. 3.6m EU citizens in the UK & 1.2m @BritishInEurope have done so in good faith, truly showing the European spirit you encouraged us to live. 3/ Your refusal to even engage in thinking about ring-fencing and instead advocating 28 unilateral guarantees of differing rights, with a wide scope of interpretation which will lead to unavoidable divergence is a blow to us. 2/ The Exiting the European Union Committee recommends that in addition to the digital document for Settled Status for EU citizens the Govt should also provide physical document. 3/ The Exiting the European Union Committee also raises concerns about the capacity of the Home Office to process 3.6m applications for Settled Status during the transition period. 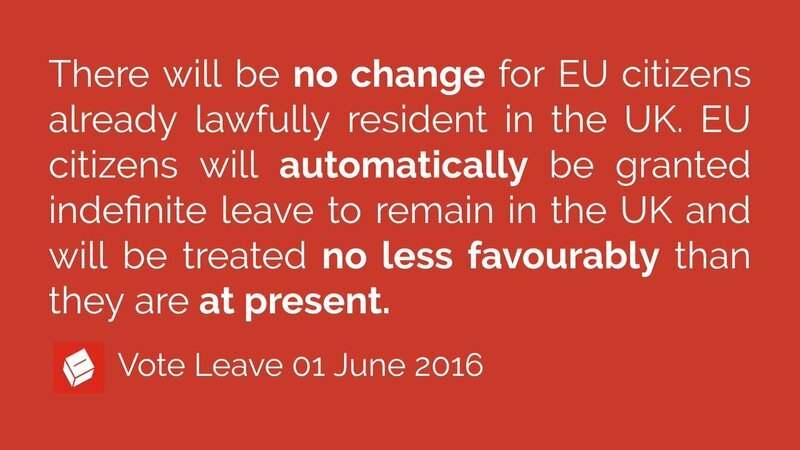 Vote Leave promised EU citizens that they will be treated no less favourably than they are at present. 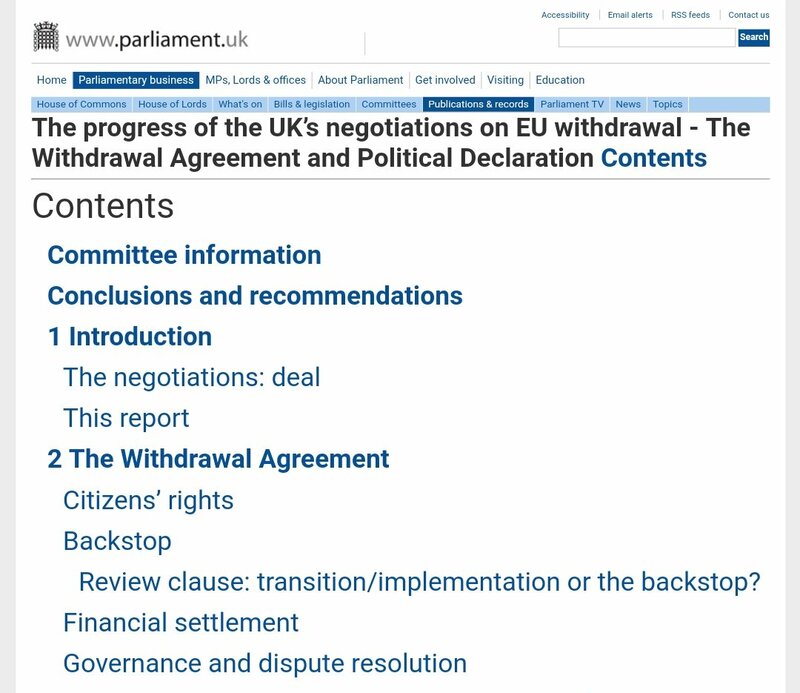 Now that we have a #BrexitDeal with the EU in form of the Withdrawal Agreement (WA) it is time to check whether Vote Leave told the truth. The WA only protects rights for British in Europe in their country of residence, their continuing free movement rights have been taken away. The WA only insists that rights may lapse after an absence of a minimum of 5 years, and the UK has chosen to use this minimum. Other member states may well do the same. Italian fascism provides a better model for our moment than Nazi Germany—and the comparison is not encouraging. Fascism is a religion. The 20th century will be known in history as the century of fascism. I’d like to draw some comparisons and contrasts between our present situation and that of #fascist Italy between 1922 and 1945. I choose fascist #Italy rather than #Nazi #Germany because it has always seemed to me a better comparison. 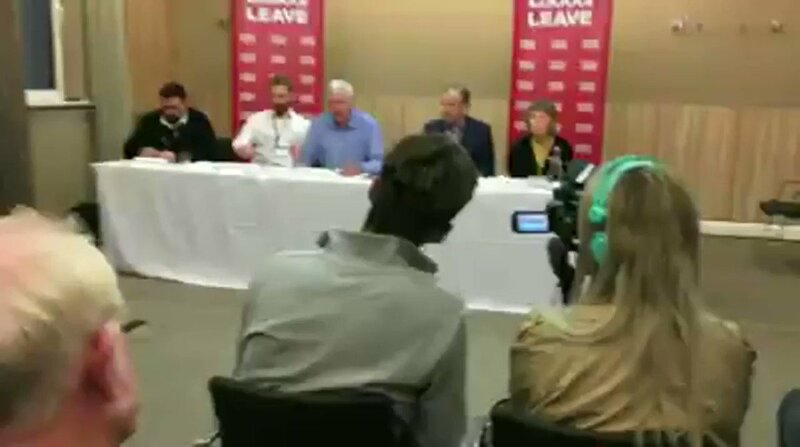 1/ At @labourleave fringe event at #Lab18, following a question by @NicolasHatton on #citizensrights of the 3.6m EU citizens in the UK in case of no deal Brexit, MP Graham Stringer made the false claim that 85% of EU citizens already have automatic right to reside in the UK now. 3/ The Immigration (European Economic Area) Regulations 2016 have been carried forward into post Brexit law via the Withdrawal Act 2018. This means the 85% of EU citizens MP Graham Stringer classes as 'secure' are only so until this EU law is repealed. 1/ "EU citizens will automatically be granted indefinite leave to remain in the UK and will be treated no less favourably than they are at present." Vote Leave promised during the referendum in June 2016. 2/ "I personally HOPE that we will uphold everything that we have said" Immigration Minister @carolinenokes said on Settled Status and #citizensrights for the 3.6m EU citizens in the UK. 3/ from 'automatic' to 'application for fewer rights' to resting on the 'hope' of the immigration minister. Don't be surprised that EU citizens are angry & stopped trusting politicians.